1) As a horse person, did it resonate with you? 2) As a horse person, was there anything that you found to be particularly off? 3) Was there anything that you felt that the movie makers accurately captured? 4) If you were going to cut something, what would you cut? 5) Do you think something was missing, if so what? 6) What would you add to the story? 7) What more did you want to know (or do you think should have been told) about Secretariat? 8) Do you think the portrayals of the owner, trainer and/or jockey were fair and/or accurate? 9) Did you like the recreated racing scenes? Or would you rather the movie makers had found a way to incorporate the actual race footage? 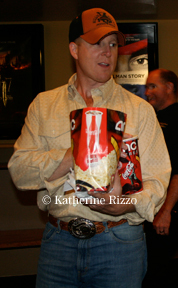 10) We know “horse movies” are tough sells to horse people, so would you recommend this movie to other horse people? I was enthralled with the movie. Even after 50+ years – it made me appreciate the people even more. Movie makers accurately captured the love, the care, the racing excitement. I think his age at death (19?) and the fact that they discovered his heart was twice the size of an average horse should have been added to the movie. I found that fascinating when Cara looked it up later. The recreation was superb and the filming with the eyes, the hooves, etc. Made me feel right there, not distant. I would absolutely recommend this movie. I was enamored of the close up race shots especially. It was obviously a story about Secretariat…the other horses in the stable were absolute zeros… but maybe they were. It had its time constraints and one can’t fault much due to that in particular. Not being a rabid fan of racing, I am not sure this is correct..but I LOVED the loading into the gate and the up close filming of the horses’ heads. I would definitely recommend the movie and HAVE!!! YES! I enjoyed the movie! It tremendously resonated with me. Randall Wallace has not produced a documentary, he has produced an great Disney movie. This movie will do what we and need: attract more racing fans. The tension of bursting from the gate, the tremendous sound of the horse’s cardiovascular system pumping all that air and blood. You really hear it in each race, not just the hoofbeats. All the hope, fear, and excitement. Wallace brought it all home. He is brilliant! The portrayals of the people involved are plenty fair and accurate enough to make for a great movie. And I watched every race on TV and read every article about the horse back in the day. The filmed scenes are great and they do incorporate actual footage. The blend is done just right, too. Another point: I like this movie better than Sea Biscuit. In Sea Biscuit there were too many characters for the audience to zero in and identify with one protagonist. 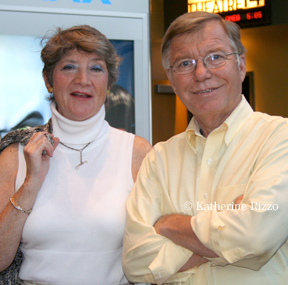 In this movie you will root for Penny Chenery every inch of the way. You will cheer for her. And even though you know the outcome of every single race, you will be on the edge of your seat. I would give it an 8 out of 10. Don’t take the comments below as suggesting that I did not think the movie was great. I am just giving candid responses–since you asked. I thought the movie focused too much on Penny. It seemed like a “Lifetime” movie in certain parts. In one of the early scenes, the horse racing was in “fast motion,” not a good thing. I read a chapter about Secretariat before the movie. 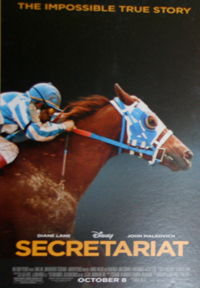 The movie was consistent with the book, however, the book indicated Secretariat was held back during the Wood Memorial with very slow fractions which contributed to the loss. There was no mention of an abscess. I don’t know which is accurate–or both. I was happy to see the coin flip in the movie and the syndication before the Triple Crown races. That was well done. The race competition with Sham was also accurate and very entertaining. The finish of the Belmont with the song “Great Day” struck me as very disappointing. I liked when the sound was cut and anticipated something great as Secretariat was coming out of the final turn. The song ruined it for me. Secretariat’s stretch run was one one the greatest feats in all of sports. The movie failed to capture that for me. Any horse movie, in my view, should create an emotional connection between the audience and the horse. 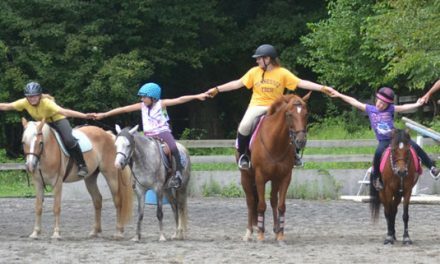 Horses have very different personalities and can make you laugh and feel a complete range of emotions all on their own. Penny seemed business-like with the horse and uncomfortable at times. In fact, she never even kissed the horse until he had won the Triple Crown. Even when she looked into his eyes before the Belmont to determine whether to run the horse, the connection was totally lacking. There needed to be some conversation or something more. I was thinking, “What was that about?” The bathing scene did not really do anything for me either–it seemed to be more bonding between Penny and the trainer than the horse. Aside from the foaling scene, there was nothing which really brought out Secretariat’s personality, or which made me laugh or feel any emotion at all toward Secretariat. Everyone knows he was big, red, and fast. The bottom line–I should have had a tear in my eye during the Belmont stretch run in complete appreciation of the greatest horse that ever lived. The movie failed to produce. Instead I was bewildered by the music only to laugh at the trainer saying “Don’t fall off.” I loved the comedy, but this story is ultimately about that Belmont run. The trainer and groom were both very funny. Great job on both. The racing scenes were great except for the fast motion in the early scene and the Belmont stretch run. The Preakness race scene was a little weak. The living room cheer scene seemed cheesy. Perhaps actual race footage could have been incorporated into the Belmont finish. Yes, I would recommend this movie. 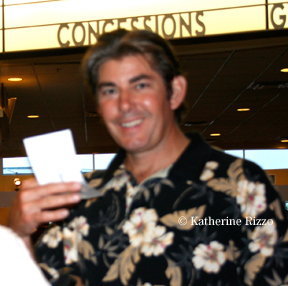 The movie was very enjoyable, and as an ex-racehorse person it indeed resonated very much. 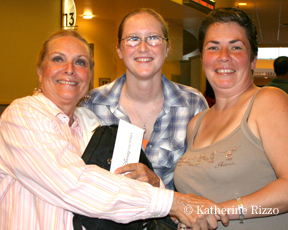 They captured the feeling and the essence of the racehorse owners, and luckily they had a real winner on their hands. I would not cut anything out on the other hand, you could add a few more “horsey things”….The racing scenes were good, but some real footage would have added a bit more realism. I would indeed recommend the movie to my horsy friends and people in general. Good story of a Real winner. Well done. I enjoyed the movie VERY MUCH!!! Yes, it resonated with me as a horse person. That they were swimming in their outdoor pool in Colorado when they heard the news that Somethingroyal was about to foal Secretariat (in March), seemed sort of off. The trainer’s honesty about not knowing whether his strategy for Belmont prep would work was portrayed very well. I would have liked to know what happened to Meadow Farm after Secretariat was retired to Claiborne. Loved the Penny Chenery cameo! The recreated racing scenes were fine; wasn’t there some actual footage in there, too? I have already recommended it. I thought it was a great movie for horsey and non-horsey folks. Superb cast, great dialogue. A great story of a strong woman and a strong family. I absolutely enjoyed the movie! 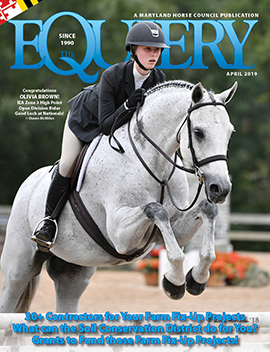 As a horse person, anything that can enhance the romance of horses to a larger audience is a GOOD THING! And, as a “horse person”, yes there were things in the movie that struck more as fantasy than reality but isn’t that the purpose of entertainment? I can’t think of anything right now that I would simply “cut” from the movie or add. Unlike “Seabiscuit” this movie was more about Secretariat’s female owner and the obstacles she had to circumvent to help Secretariat become the legend he is. People love characters and the movie nicely portrayed its cast of characters in terms we can all appreciate…the good guys, the bad guys, the eccentrics, the loveables, the winners, the losers. After all, it is a DISNEY movie!! I loved the race footage…putting us, the viewers, on Secretariat’s back, under his belly and between his ears was brilliant and exciting…even for people who already know the thrill of a gallop in company. I would definitely recommend the movie because it’s about us…whether we’re trail riders, dressage riders or barrel racers, we know what it means to love and believe in horses and in miracles. Accuracy is way overrated…it’s entertainment and fantasy we love to indulge in!! If you do not get goose bumps watching that horse run then you’re probably dead. I already have recommended this movie and will continue to do so at every opportunity. I could not believe how amazing the horse was, especially how much he ate. The movie makers accurately captured the feeling of how hard it was to win the triple crown. Yes, I would recommend this movie to others.